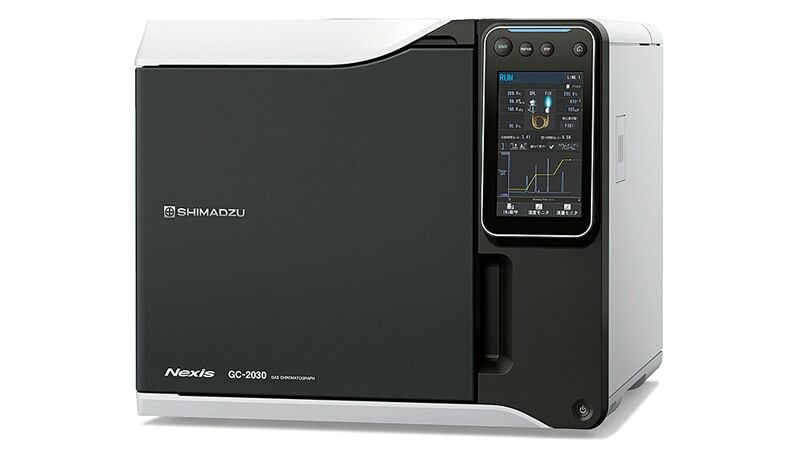 The Shimadzu Nexis GC-2030 gas chromatograph incorporates numerous novel ideas, and rewrites the history of analytical instruments. The developers consisted of a multidisciplinary group of engineers assembled from divisions across the whole company and the entire team worked enthusiastically, inspired by the watchwords "User-friendliness to rival that of a home appliance." Here we reflect on the stages of its development. 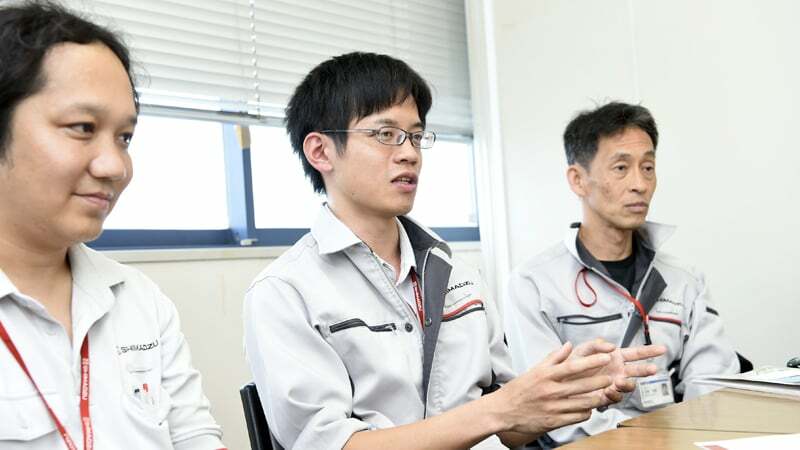 In October 2015, in the Quality Center at Shimadzu Corporation Sanjo Works, usability tests were performed on the Nexis GC-2030 gas chromatograph, which was developed based on the concept of "designed with the analyst in mind." Scores, in conformance to strict standards, were assigned by general users, who tested the instrument alongside earlier Shimadzu models and competitors' models regarding operating times at each step and the number of processes required for maintenance. The Nexis GC-2030 surpassed all the other products in these tests. Some of the participants even expressed astonishment at the ease of GC-2030 column replacement. On hearing the results, the development staff briefly acknowledged their success and then immediately returned to work. There were still improvements to be made and time until the planned release was short. There was not a second to lose. A gas chromatograph (GC) vaporizes samples of interest and measures what components are present in the gas and in what quantities. GCs are used in many types of research & development and quality control environments. Shimadzu first commercialized the instruments in Japan more than 60 years ago. Since the release of the GC-2010 in 2000, the company has made repeated product improvements to improve performance levels. In 2013, a full model change was made, and the first and foremost enhancement was to significantly improve operability. Members of the Analytical & Measuring Instruments Division involved in the development of the Nexis GC-2030. Seated to the left of the instrument is Yasunori Terai, Project Leader and Manager of the GC Hardware Group, GC & TA (Thermal Analysis) Business Unit, Analytical & Measuring Instruments Division. 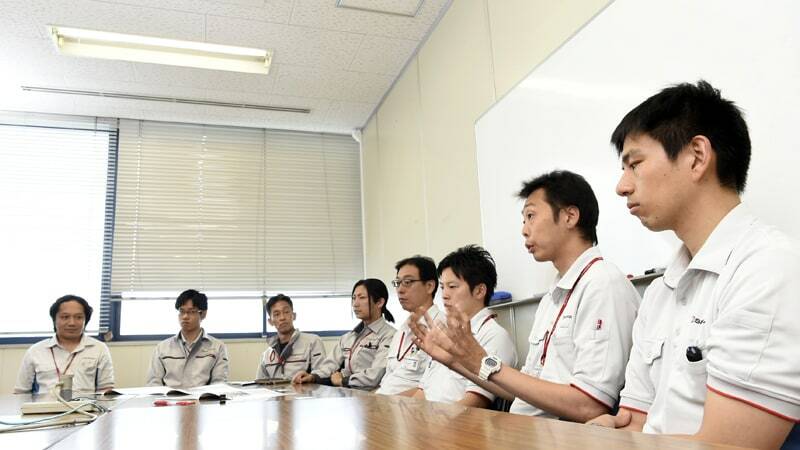 Next to him in a clockwise direction are Shigenobu Nakano, Assistant Manager of the Firmware Group, Research & Development Department, Analytical & Measuring Instruments Division; Masahiro Kojima and Masayuki Okada, Assistant Managers of the Laboratory Automation Group, Research & Development Department; and Masashi Yamane, Satoshi Yano, Kiyonori Koga, and Shingo Masuda, Assistant Managers of the GC Hardware Group, GC & TA Business Unit. In addition to the team members, a key factor in achieving the project objectives was the excellent relationship with other departments. This included exhaustive discussions with the design office regarding product appearance, serious scrutiny of deadlines with the plant, and brainstorming sessions with the Quality Assurance Department. Looking back, Project Leader Terai, who also participated in the development of the GC-2010 Plus, said, "Naturally, we have always improved operability, but this time it was qualitatively different. On this occasion, we wanted to accomplish everything that, up to this point, we had wanted to do. In addition, our aim was to not settle for half measures but to achieve user-friendliness on par with a home appliance." Before development started, the members created a list of items to be improved, with conversations along the lines of "Users have asked for it to be done this way" and "It would be easier to use if we did it like this, wouldn't it?" Many of the requirements ultimately incorporated in the specifications involved improvements to user-friendliness. In the history of development to date, this was highly unusual. Since these are precision instruments used by research and development staff applying their expertise, aiming for "user-friendliness on par with a home appliance" required considerable resolve. Amongst these requirements, the item at the very top of the list was one-touch column attachment. Columns are the main part of the system, used to separate the analysis sample into its components. They are frequently attached and detached. However, installation requires a wrench, which makes the procedure very time-consuming. In the words of Mr. Koga of the development team, "There is no need to look at an instruction manual to replace the filter or nozzle on a vacuum cleaner. Similarly, when replacing a camera lens, or inserting or removing a memory card, these too have been designed to be intuitively obvious. Our goal was to raise the usability of analysis instruments to the same level." Mr. Koga points out that the team spent day after day tirelessly incorporating the large number of development items into technical drawings. "How about doing it this way?" Another mechanical engineering teammate pored over the sketches Mr. Koga drew in his notebook. "Good idea, isn't it?" "Hey, that would probably work." Here, he drew a small connector barely 2 cm in size. The column is inserted in one end, and the other end is connected to the instrument. No tools are needed for the connection, simplifying the column attachment process. Next to this sketch was written the word "Click!" After development started, many ideas were floated around and then forgotten. Nevertheless, Mr. Terai and the entire team were determined, saying, "We have no intention of giving up." The one-touch attachment was dubbed "the ClickTek connector" because of the sound it made. The click was made to sound exactly the same as when replacing other consumables. The injection port could also be opened and closed by just twisting it by hand, and insert replacement was also dramatically simplified. One thing that should be mentioned is that in making these improvements, absolutely no changes to the consumables themselves were required. The existing consumables could be used as is and could be shared across multiple models. The team took particular pride in always seeing things from the customer's perspective. "User friendliness on par with a home appliance" was realized at every turn. A light was added to illuminate the column attachment component, reducing the burden on users. In previous systems, gas leaks at the column connector had to be checked using a gas leak detector. Now, however, firmware functions were added to automatically decide on troublesome analysis conditions at the touch of a button, and detect gas leakage. Stress for users was reduced by adopting an intuitive interface for the applications on the PC used to monitor analysis data. In addition, the user interface, with its arrangement of small buttons like a calculator, was completely redesigned. A tablet PC was fitted to the front panel so that the parameter setting windows could be displayed by pressing graphic icons. Reflecting on the development, Mr. Yamane, who was in charge of the firmware, said, "We made adjustments to bring convenient but seldom used functions, buried to date deep in the software hierarchy, to a more accessible level. We would like customers to try using features such as the gas-saving function that runs between analysis cycles." The "World's Most User-friendly Gas Chromatograph" (Mr. Terai) finally debuted in May 2017. The instrument was a major success and remains in full production at the manufacturing sites. In the future, GC will likely expand beyond research to become a familiar tool, used by consumers themselves to measure health levels and food safety. This means that gas chromatographs will literally become home appliances and the development of the Nexis GC-2030 may be remembered as the first step in this process. * Affiliates and titles of the persons in this article are current as of the time of interviewing.